The Phi has been itching to make some money. I don't know why but she has been trying to sell us her art work for $1.00. So at dinner the other night we talked about ways she could earn money. We decided that if she did some chores around the house she could earn some cash. First we had to determine what chores would count. Joey and I both feel that there are certain things that she should do without getting paid for it. Things like picking up after herself, putting her plates in the sink, making her bed are things she just has to do. I know we are SO MEAN. 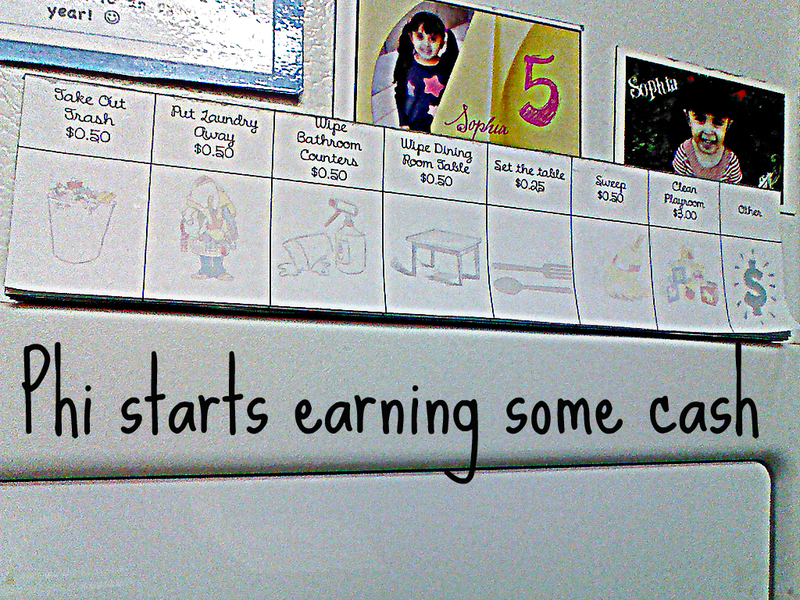 So we came up with some extra chores and assigned a payment for each one. Then I used Word to make up a chart for her. I did them 3 to a page to save space. I printed out about 10 pages (30 sheets). I wanted to make the sheets the kind that are stuck together and you can rip off the top sheet with a new one underneath. 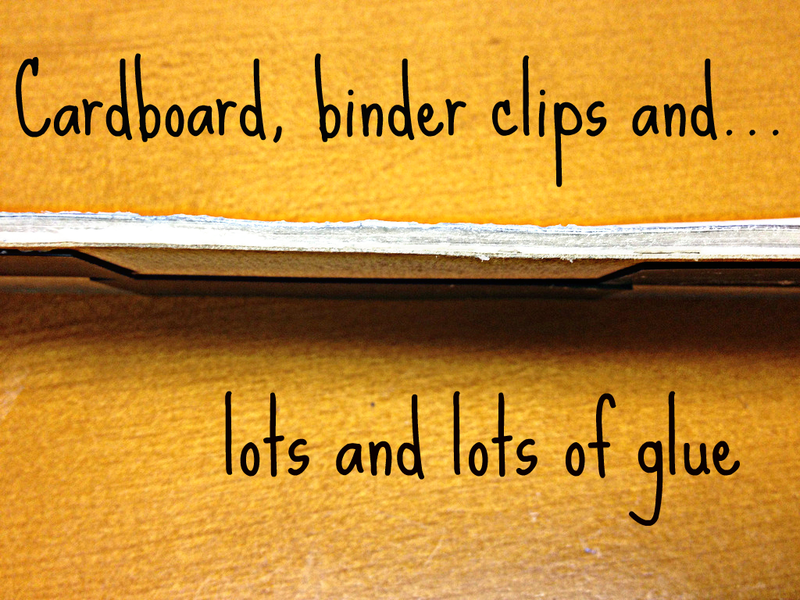 So I stacked the sheets and used some binder clips and cardboard on the front and the back to keep them together. Take some plain ol' white glue and add some to the top of the sheets and spread it over the top. Let the glue dry and repeat this 5 or 6 times. Then I took a thick piece of cardboard and cut it the same size as the sheet and glued it to the back of the stack of sheets. 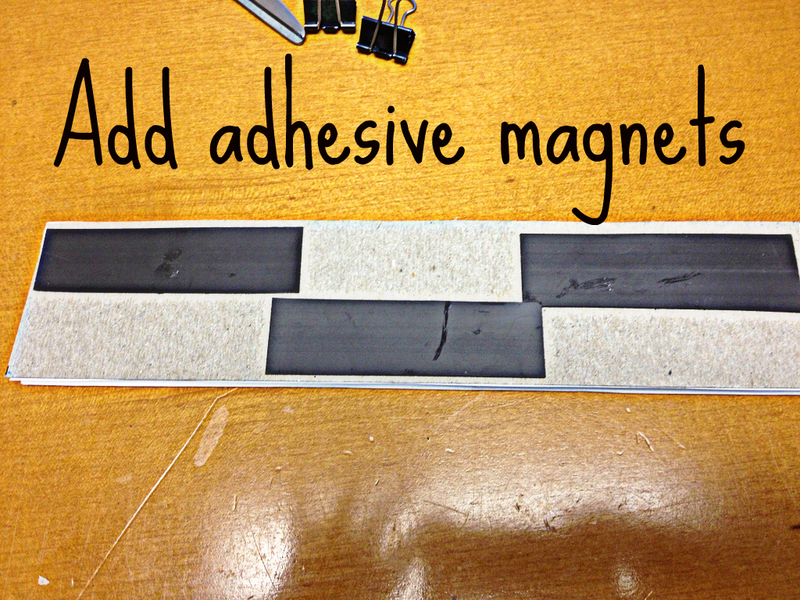 I added some stripes of adhesive magnets so I could keep it on the fridge. Up on the fridge it goes! 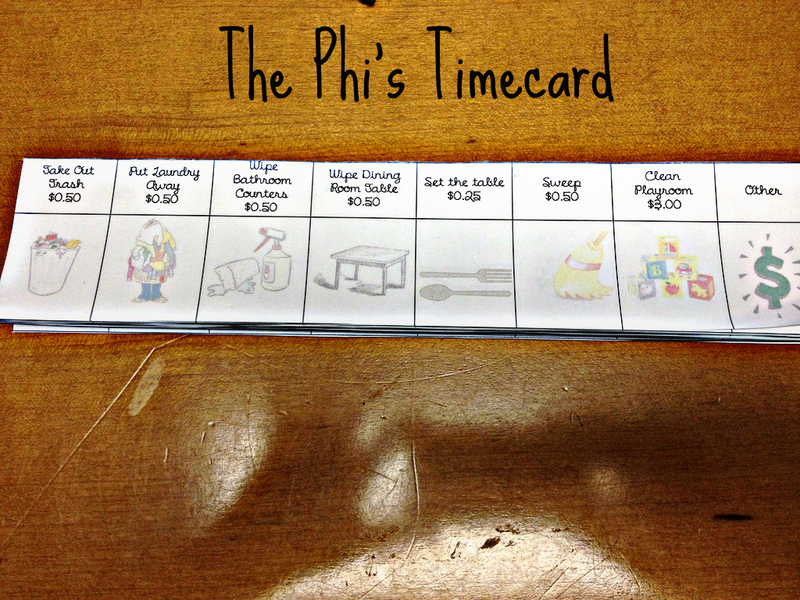 Now every week if The Phi does something on the chart she will leave a check mark. At the end of the week we will add up her check marks and she will earn a "pay day".